Fluid convection within porous rocks may be driven by a variety of effects. The classic example is heating from below, but differences in fluid density required to drive a convective motion can arise from an array of chemical solutes, heating, or a combination of these factors. There is interest in convection that takes place in a fluid entirely within a porous rock, but also in penetrative convection. The term penetrative convection means that convective motion commences in one part of the system (in this case in the porous layer) and penetrates into otherwise stable layer(s) of fluid above. Right is a streamline plot showing penetrative convection when water overlies and saturates a layer of porous material (from Carr 2004). The dashed line shows the interface between the two different layers. Applications of these problems include patterned ground formation, sea ice melting in the Arctic and flow of oil in underground reservoirs. Current research on this topic is focussed on creating models of subterranean hydrological processes in river floodplains. 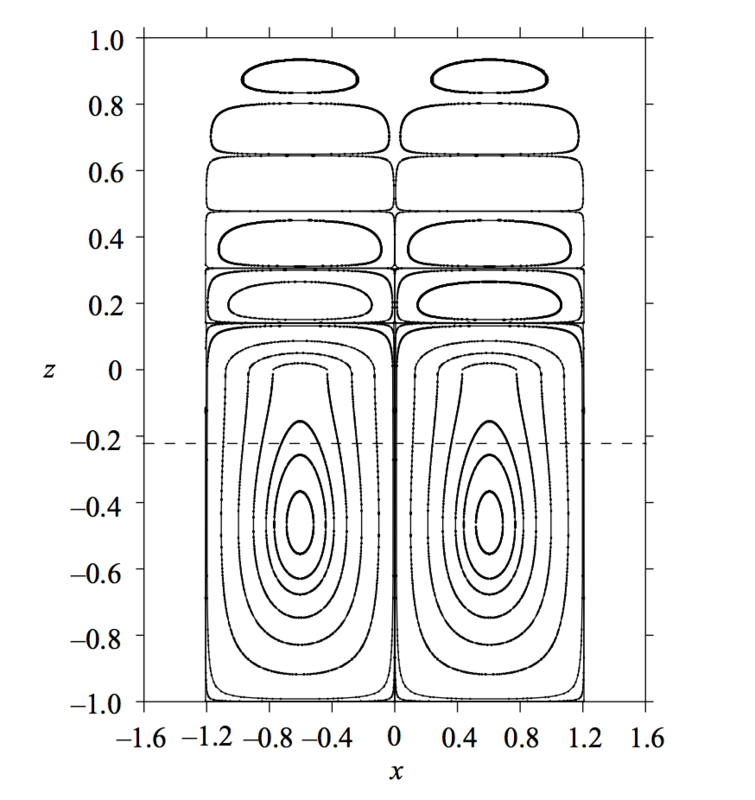 Numerical solutions to the equations describing fluid flow through porous media are used to simulate water movement in three dimensions through a soil matrix. 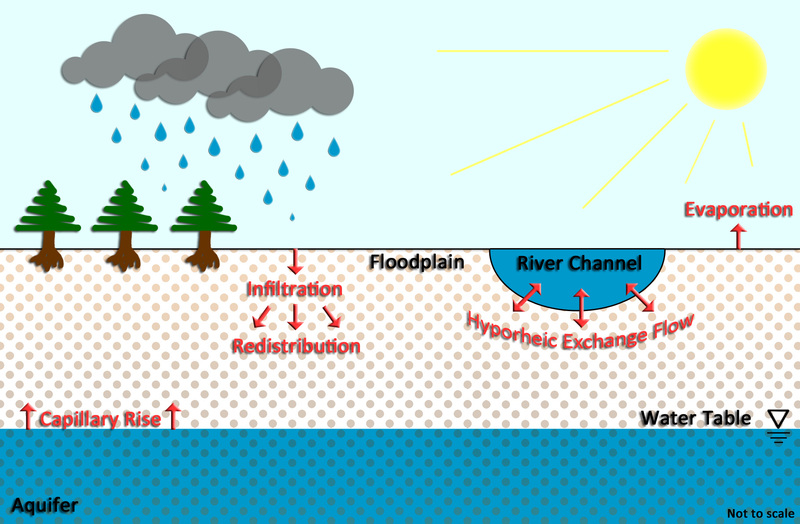 These models are then applied to field sites in order to investigate the historical impacts of climate change and river restoration activities on hydrological connectivity and water distribution in floodplains.